Food businesses have a legal responsibility to make sure that the food they sell or serve is safe for customers. 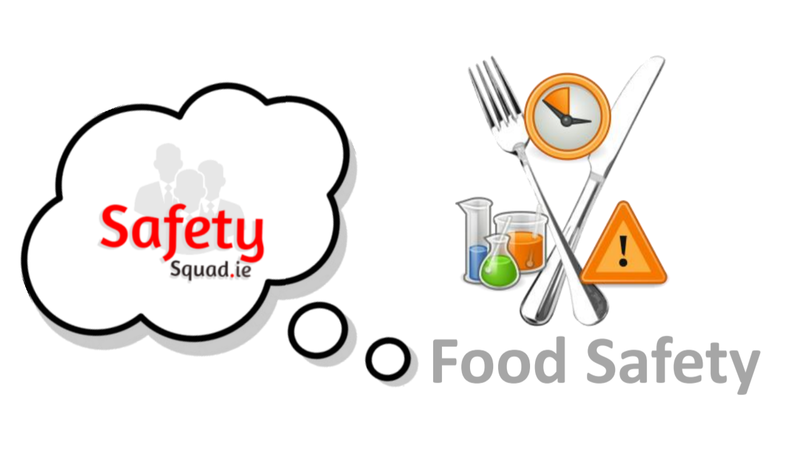 Safety Squad help businesses achieve high standards that are compliant with food safety legislation. Breaches of food safety legislation, relate to The Food Safety Authority of Ireland (FSAI) Act 1998 and the EC (Official Control of Foodstuffs) Regulations 2010. Food inspectors & environmental health officers in the Health Service Executive (HSE) have a range of powers available to them. Enforcement, Prohibition and Closure Orders are commonly used when serious risks to consumer health have been identified to cause hygiene or operational issues. They are never served for minor food safety breaches. By contacting Safetysquad.ie you may avoid prosecutions, associated bad publicity and loss of revenue. Guaranteed safe operational system improvements to reach highest standards of food safety and hygiene. There is no frequency set out in legislation for food safety training. Your time and money are valuable resources, a partnership with Safety Squad will ease demands on both of them. Building a relationship with one safety provider ensures more effective time management and we can pass on bigger discounts to loyal customers. Customers evaluate the effectiveness of every course. All our tutors have a back-round, expertise & qualifications in food safety. We use Pyrogard Limited as our fire safety specialists. We provide the services of competency to help develop your in-house food safety expertise. Safety Squad make things simple, the key to risk assessment is not overcomplicate the process. We consult with your employees & encourage active food safety participation of the workforce. You will realise the true benefit of documenting food safety systems when examined. We have a thorough knowledge of the tasks involved, work processes, the ability to identify hazards, levels of risk, appropriate risk controls and how to put them into practice. Ensuring that everyone affected is informed about any hazard, any harm to which they may be at risk and all the protective measures taken to prevent such harm.